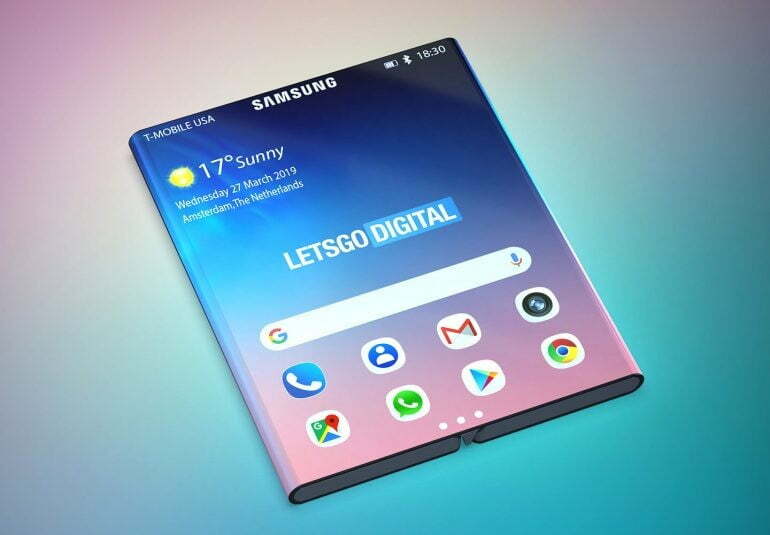 The Samsung Galaxy Fold hasn’t hit shops yet — heck, barely anyone has had the chance to hold it yet — but Samsung may already be making plans for its next big foldable device, according to an approved patent design. “Big” is the operative term here. If the patent imagery is correct, this could potentially be an absolutely enormous device which apparently folds out into a screen roughly the size of a tablet. 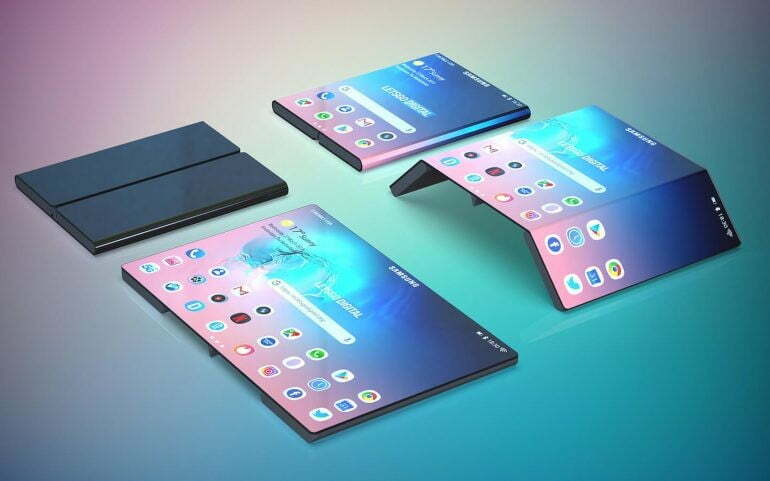 The design seems to be on similar lines to the Xiaomi foldable phone we saw a few months back, with two “wings” that unfold from underneath the main screen to form an even larger screen. The main difference here is that the main screen — which seems to have an almost square aspect ratio — would already be huge even before being unfolded. Also interesting is the addition of a central strut that sits between the two wing-screens when folded. Due to the additional thickness underneath these screens, it’s likely this central strut has been added to offer additional support for the main screen. It’s also interesting to note that additional thickness beneath the wing-screens themselves. It’s more than likely that these areas would be where the phone’s main components would be located. LetsGoDigital created renders of a finished device, and we’ve added some of these below so you can see what a final device might look like. Some have pointed out that ports and similar features are lacking from the patent drawings, which is at odds with Samsung’s usual approach to patent imagery. This could mean that Samsung is looking to ditch ports entirely and rely on wireless charging and similar tech. However, we think it’s far more likely Samsung chose to leave out definite details on a device that’s clearly at the start of being envisioned. Because this is a patent, there are few details on what we can expect in terms of specs, but you can probably expect such a device to sport high-end components and a high-end price. However, you have to ask yourself what this device would actually be for. 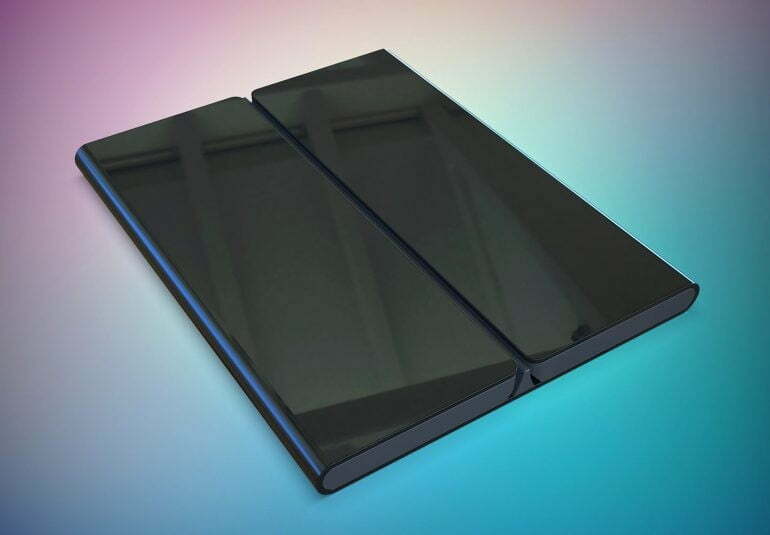 The entire point of a folding smartphone is being able to have a small, portable device that can be opened up into a larger screen when required. If your device already has a large and unwieldy screen, there’s little advantage to having an even larger screen, especially when that folding tech could lead to hardware issues and an inflated price. It’s likely this is a purely theoretical device. At least, for now. Nikon Z 6 vs. Nikon Z 7: What's the best Nikon mirrorless camera?